Discussion of researcher Longenecker posting the CVE-2014-2718 and CVE-2014-2719 shows flaws for the Asus RT series routers, either with the admin password being revealed or that the firmware update process does not use https (port 443), a secured/encrypted method. a man-in-middle(MitM) attack can occur, since a http session can be intercepted. Sure a MitM attack is not the easiest attack to carry out, as some other attack had to have occurred in the network vicinity. But as we know in the security field, it is always about escalation of privileges, and a toehold becomes a foothold, and then a truck drives through. 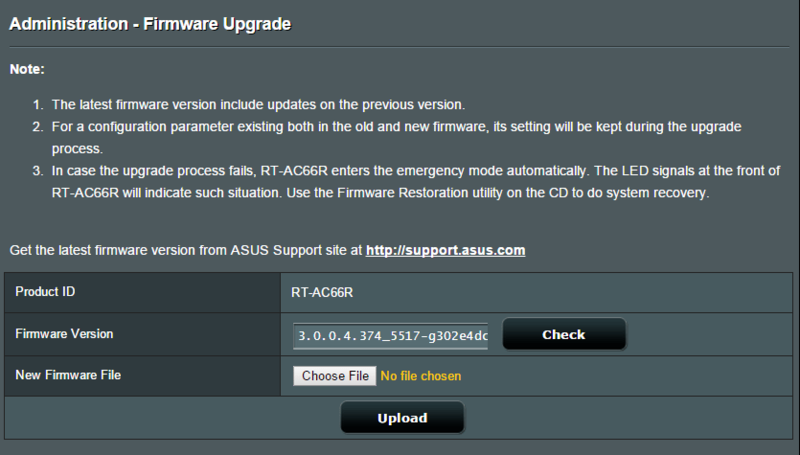 I dont have an Asus router to review it for the wget vulnerability? Maybe this router can be hacked quicker/easier than a MitM attack. ​Go to ASUSWRT>”Administration”>”System“, enter the new login name and password and click the “Apply” on the bottom. As per CVE-2013-5948 site shellcode injection can cause remote authenticated users to inject arbitrary commands So please update firmware beyond the 3.0.0.4.374.5047 and later and change your admin password. contact Us to perform a Ψ Wifi security assessment. Previous Previous post: Wget vulnerability – does it affect you?